One of Britain's biggest-ever manhunts ended in dramatic scenes Saturday with fugitive gunman Raoul Moat shooting himself dead to end a tense armed stand-off with police. After gradually closing the net on Moat, who had been on the run for a week after a deadly shooting rampage, armed police surrounded him in the country village at the very epicentre of the massive manhunt. They cornered the 37-year-old bouncer by a riverbank late Friday and had been negotiating for six hours into the rainy night when the wanted man shot himself. Police confirmed that Moat "died in hospital" after being rushed from the scene in an ambulance. In a search that brought in police officers from across the kingdom, Moat was finally captured in Rothbury, north of Newcastle in northeast England. Armed British police stand guard in the centre of Rothbury. He was wanted for shooting dead his ex-girlfriend's new partner, and seriously injuring her plus a policeman in the Newcastle area shortly after being released from prison. In letters left for detectives he claimed to be a "killer and a maniac", declared "war" on the police and said in a letter to them he would not stop killing "till I'm dead". Police said they found the father-of-three in Rothbury at around 7:00 pm (1800 GMT) Friday. "Raoul Thomas Moat was discovered by police in the vicinity of the riverbank and he was armed," Northumbria Police said in a statement. "Expert negotiators were brought in to speak to him and spoke to him extensively for several hours. 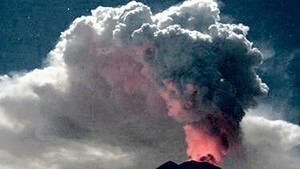 "But at around 1:15 am (0015 GMT), it appears, from information available, Moat shot himself. He was taken to hospital but was pronounced dead at around 2:20 am (0120 GMT). "No shots were fired by police officers. "No officers or members of the public were injured." He was rushed by ambulance to Newcastle General Hospital. Moat was seen being carried in on a stretcher, with a blanket covering his head. The search for Moat closed in quickly on Friday. It had focused on the wild terrain around Rothbury after a car linked to him was found abandoned there. Detectives arrested two people accused of helping him, found three of his mobile phones and released photographs of camping equipment including a tent and sleeping bag which he and accomplices are thought to have used. They said they had "recovered valuable information". 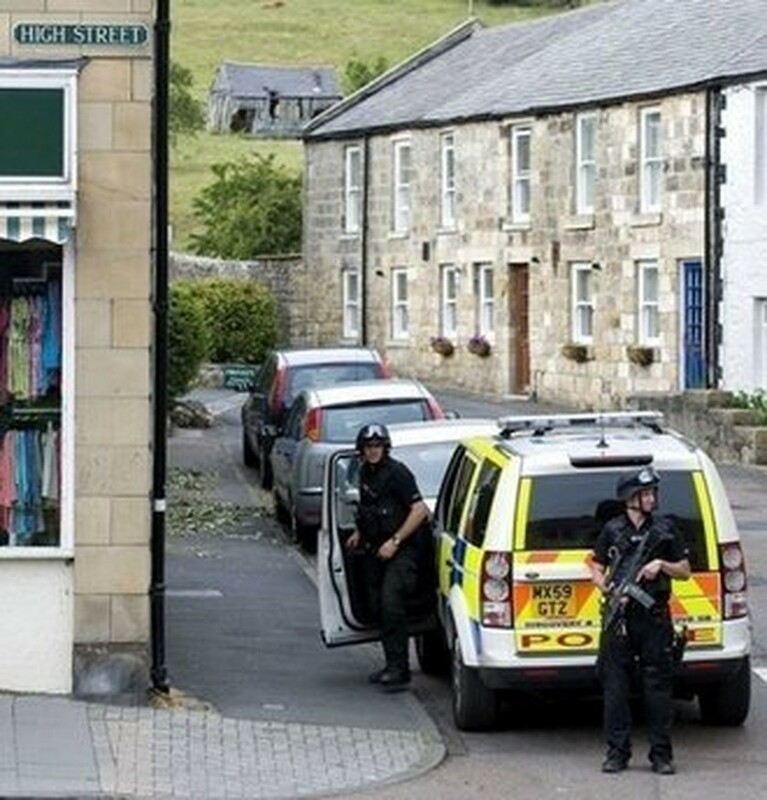 Armed police had imposed a lockdown around Rothbury for days and within hours threw an exclusion zone around part of the village as the siege began, with those stuck inside ordered to stay inside their homes. The case was dominating domestic television news channels and Britain's tabloid newspapers. BBC television showed a grainy, night-vision footage of the moment the stand-off ended, which featured shouting and dogs barking in the downpour. Saturday's newspapers were filled with headlines about the siege. "Got Him", said The Sun and the Daily Express's front pages. The search for Moat brought in officers from 15 forces, including specialist snipers, and armoured all-terrain cars from Northern Ireland. A Royal Air Force plane with imaging equipment also joined the search. Moat had been serving an 18-week sentence for assault. It is the second gun rampage in quick succession in England's most northerly counties. On June 2, taxi driver Derrick Bird killed 12 people before turning the gun on himself in Cumberland in a shooting spree that shocked the quiet, rural area.